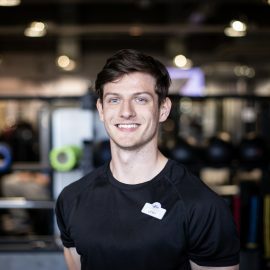 As Gosforth’s friendliest gym, we also have Gosforth’s friendliest staff and personal trainers – a mixture of knowledge, enthusiasm, patience and understanding that enables them to take you along the road to fitness whatever your goals may be. Whether you simply want to lose weight and increase fitness for health reasons, or you’re looking to improve performance as an elite athlete, we’ll match you with staff who can guide you every step of the way. I have been training clients for over 20 years. I specialise in working with pre and post op clients who have special needs. As I am sports massage qualified I thrive off helping clients who are injured, using sports massage to relieve symptoms then offering specific training to aid recovery. My experience lies in martial arts and strength training, offering the only H.I.T facility in the North of England. Here we offer brief but intense workouts that no other trainers can offer. Excelling in sport always appealed to me and began my curiosity in the gym and the various types of training. Realising the physical demand of high-level competitive sport and what physicality was needed drove me to not only increase my technical ability, but to make solid progress within the gym. Learning what specific exercises can heighten your ability in the gym and increase your sports performance has been a great help for my physical abilities. 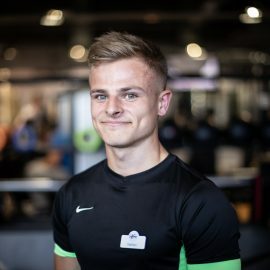 After starting my first fitness instructor role at the age of 16, I learnt how to apply the knowledge I gained and help other people achieve their own physical goals. Whether it was to lose weight, bulk up or train for specific event. I believe there is not one right way to train and that every individual is unique. What works for one might not have the same affect on another. Once you realise what works for you, you’re half way there! My biggest achievement as a fitness instructor by far is the progress made by one of my clients Chris. He first set foot in the gym a little under 2 years ago and has never looked back. Going from being clinically obese and struggling with a slow walk on the treadmill to almost halving your body weight is quite an achievement! One which I’m very proud of him for achieving. I began training in the summer of 2015. As I experimented with my nutrition and training I soon began noticing small changes. I started getting stronger, more muscular and fitter. This was an amazing feeling and I realised that if I can change my body in such a positive way then I can help others do the same. So I started various courses to improve my knowledge. This became a passion for me and led me to apply for a position at Axis Fitness. While at Axis I have gained my level 3 Advanced PT, GP Referral and Level 3 & 4 massage, to name a few. During these courses I have learnt about various training methods and the effects they have on the body, as well as how correct and incorrect nutrition can affect the body. I now apply this knowledge of training methods and nutrition when coaching clients and during my own training. I hope to use my qualifications in sports massage to aid client recovery times and prevent the injury of athletes and the general public, particularly in rugby, as I play this sport at county level. I am always studying and doing research to keep up with the ever-changing fitness industry and to further expand my knowledge. 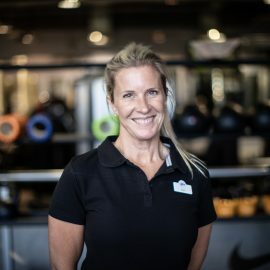 New to the fitness industry, I have a passion for exercise and hope to help anyone and everyone to the best of my abilities with my qualifications below. 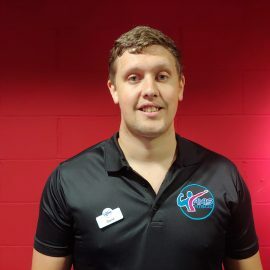 I have been a qualified gym instructor for the last 6 years and have worked in many gyms across the North East. 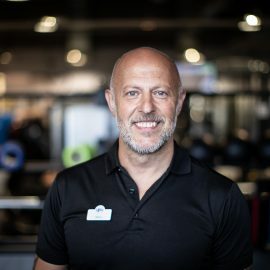 During this time I have extended my knowledge and gained a wide range of experience in the industry, including instructing classes such as group circuits, boot camps, legs, bums and tums and finally body combat. So if classes are your thing -I could be the guy for you! My interests outside the gym are sports, travelling and going to comedy clubs. Nothing is more rewarding than seeing a person make changes to their lifestyle and achieve their goals. Coming to fitness later in life…over 35. I have experienced first hand the benefits of a healthier, more active lifestyle, by having lost, regained and lost significant weight for a second time. I understand the journey a person takes to make hard changes to their life, to break the bad habits and form new ones. I can relate to clients who are unhappy and are desperate to make positive changes, having been there and done it all myself. I am the newest qualified Instructor at Axis Fitness. It seemed a logical path to follow as I have been training at Axis Fitness for the last 10 years and whilst I manage the business in partnership with Steve, it’s great to get out from behind the keyboard and onto the gym floor. I have a good understanding of nutrition and I am the Queen of meal prep! When they say abs are made in the kitchen, they are not kidding. I love strength training and no, it won’t make you ladies butch and manly – it will define you and give you great shape. I train with experienced Nautilus coaches, who allow me to work on my own goals and strive to be in the best condition I possibly can be. Axis Fitness gives me the opportunity to meet so many nice members and play a part in helping them achieve their goals. Say Hi to me next time you are in.